The new committee quickly grew to include other WABA members, area high school teachers, and representatives from the nearby North Central Technical College in their construction courses and their Youth Apprenticeship program. The committee took inspiration from other Wisconsin local associations and did their own career day, Parade of Trades, on May 2nd. 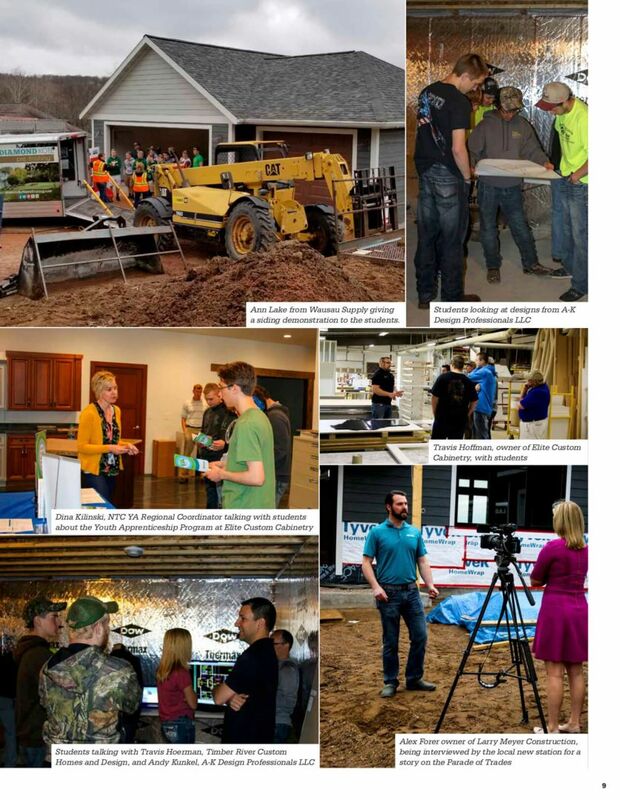 The committee teamed up with WABA builder members that were in the process of building their Parade of Homes houses: Larry Meyer Construction, Sorensen Construction, and Timber River Custom Homes and Design, as well as a WABA member with a manufacturing business, Elite Custom Cabinetry. Four stops were set up along the Parade of Trades tours, and, from there, the committee worked with each location and created two stations at each. At each of the eight stations students got insight into a specific trade within the building industry or information on how to become involved with the Youth Apprenticeship program in the area. Most of the stations were led by another WABA member in that industry. WABA, along with a few sponsors, provided all the bussing for the students to each of the locations and lunch. WABA’s new Building Youth into Builders Committee is excited with the results of the inaugural Parade of Trades Career Day. The Youth Apprenticeship program received interest from multiple students that day, and they are working on turning that interest into apprenticeship opportunities. “If the future workforce is never exposed to the options that area available in our industry, they will never choose our industry as an option,” Lang commented. The committee and WABA feel strongly that the building industry provides excellent career options for our youth, and it is well worth our efforts to show them that.